By providing advanced instrumentation for multiple sensor networks, parameters can be measured throughout an entire process such as a wastewater treatment plant with one system. Xylem provides solutions for online monitoring of a wide range of parameters in water, wastewater, environmental, food and beverage and process applications. We provide a wide array of products and systems for online monitoring in the analytics market including digital and scalable sensor monitoring systems to network multiple sensors for any size of application. 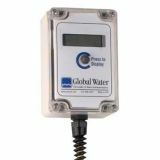 All of Global Water's electronic sensors seamlessly interface to the EZ100 Sensor Display, which can be used for both portable and permanent installations. 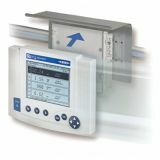 Global Water's EZ Display features a large LCD readout that can be configured to display 4-20mA electronic sensor output values in any engineering units. The portable display is housed in a rugged, weatherproof enclosure that can be either hand held or wall mounted. 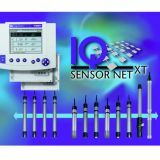 The IQ Sensor Net system is the most flexible, digitally based online system that provides from 1 to 20 measuring points. The module based system allows you to "grow" your system as your conitnuous water quality monitoring needs change. 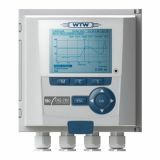 For the measuring and control of wastewater, WTW offers the world's most complete line of pH/ORP, D.O., Conductivity, Nitrogen, Carbon, Phosphate, and unique self-cleaning Turbidity instrumentation, as well as comprehensive accessories. 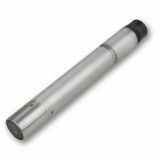 WTW has been continuously designing, manufacturing and satisfying the demands for reliable dissolved oxygen measurements with the most advanced online systems available anywhere. 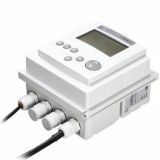 The new controller is for small and mid-sized wastewater treatment plants and includes a USB-interface with an internal data logger - up to 4 sensors can be connected and 20 parameters measured siumultaneously. 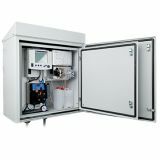 For continuous pH/ORP measurement, especially under the difficult conditions very often found in sewage treatment facilities, very high demands are made concerning the reliability and operating safety of the systems employed. The CarboVis® is a reagentless, optical-based spectrophotometer built into a rugged, corrosion-resistant field probe for the IQ SensorNet system. The CarboVis can report up to 5 parameters including: COD (total and soluble), BOD, UVT-254, TOC, DOC, SAC (total and soluble) and TSS (optional). 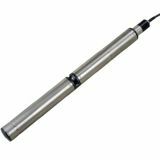 The SAC sensor measures Spectral Absorption Coefficient (SAC) and UV transmission (UVT) at 254nm for determination of organic loads in water. With the sensor UV 700 IQ SAC this parameter can be detected directly without any chemicals. A reference measurement is performed for compensation of turbidity influences. 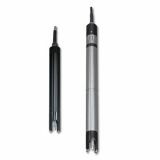 With the VisoTurb® 700 IQ and ViSolid® 700 IQ sensors, WTW presents a family of optical sensors for turbidity and suspended solids measurement. These sensors incorporate a ultrasound cleaning system that guarantees low maintenance and long-term reliability of the sensors. Turbidity measurements in aqueous media with VisoTurb® are carried out nephelometrically in compliance with EN ISO 7027. Solid matter measurement with ViSolid® is performed according to the principle of scattered light measurement. Reagent free, ion selective measurement of ammonium and nitrate with automatic compensation of potassium/chloride with the VARiON® Plus 700 IQ. 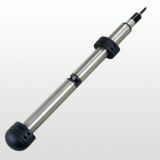 These especially stable electrodes ensure long operation times and a simple cleaning method. To measure, simply install the respective electrode into the IQ Sensor Net - everything will take place automatically. Designed specifically for Aquaculture Systems, the YSI 5200A and AquaManager™ Software integrate process control, alarming, and data management into one product. Simple enough to monitor one tank, powerful enough to manage a full scale farming operation from anywhere in the world. 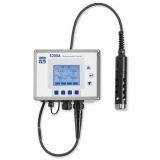 Simultaneously measure dissolved oxygen, pH, conductivity, ORP, salinity and temperature. 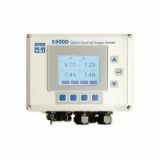 Designed specifically for Aquaculture Systems, the YSI 5500D and AquaManager® Software integrate process control, alarming, and data management into one product. Simple enough to monitor one tank, powerful enough to manage a full scale farming operation from anywhere in the world. 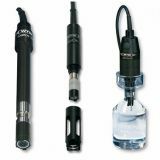 Simultaneously measure dissolved oxygen with optical technology in multiple tanks or ponds.